First book of Celia Science and Anna Art is available! Some months ago, my good friend and swell cousin Justin told me he was working on a book series and wanted me to do the illustrations for it. I read through the first draft and happily agreed. Just last month, the finished book hit the Amazon interweb shelves! 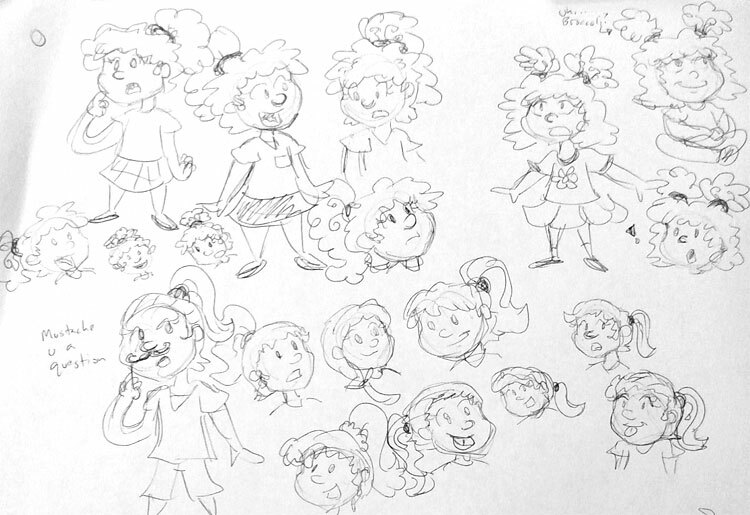 Concept sketches for hairstyles for Celia and Anna, which sometimes included broccoli hair. 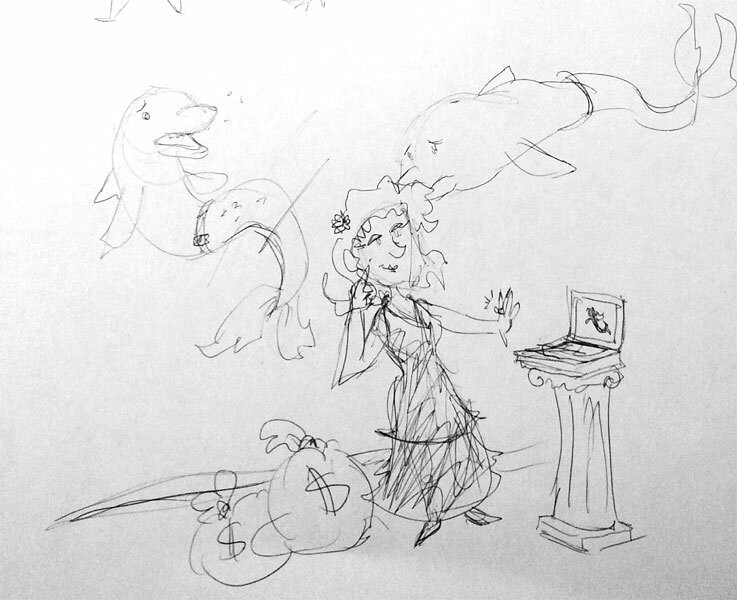 Concept sketch for the dolphins that seek vengeance in this book. Justin created a great series and I’m honored he asked for my help in developing the characters and world. After working through the character designs, I also contributed color cover artwork and chapter illustrations. 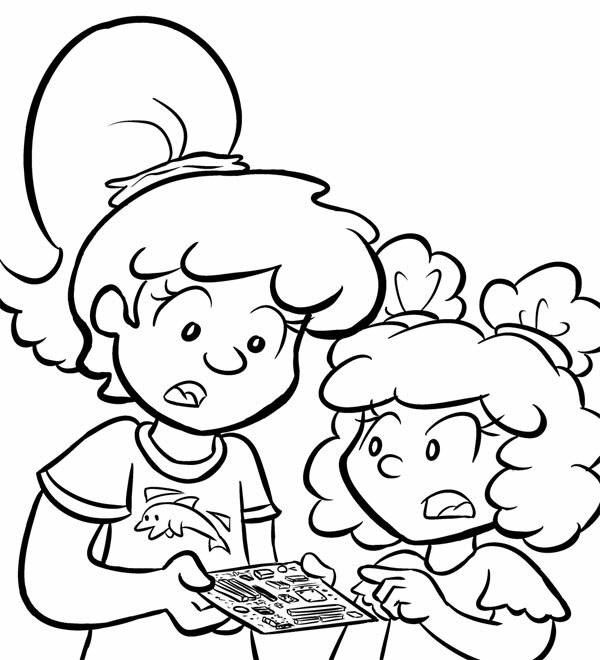 The cover illustration in Just Inks. The cover illustration, with colors! The book’s available as both an eBook and a print edition over on Amazon right now. 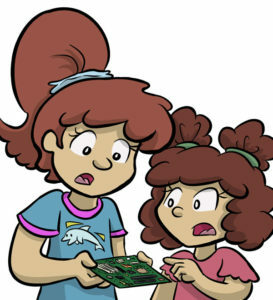 Pick up a copy today, especially if you know a young girl who’s excited for computers and coding! 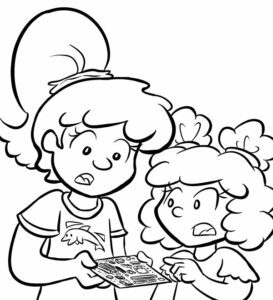 No Comments on First book of Celia Science and Anna Art is available!